Dear Editor, BAJAJ ELECTRICALS ONE OF THE LEADING ELECTRIC CONSUMER PRODUCT MANUFACTURING COMPANY NOT PROVIDING BETTER SERVICE TO THEIR CUSTOMERS IN MUMBAI SUBURB AREA (ANDHERI – WEST) MAHARASHTRA. I am JagdishKashikar wish to inform you that I had informed company through e-mail (customercare@bajajelectricals.com) to send their representive/technician on Saturday or Sunday to repair my Bajaj Majesty Geyser on 13th July, 2016.After that again I had called on Friday to their Call Center (Call Centre Number - 02241280000) as a reminder to send their representive/technician on Saturday at my residential address. On Saturday again I had called Call Centre Staff of Bajaj Electricals more than 3-4 times between 9.30 a.m. to 11.00 a.m. and requested them to send their representive/technician at my residence to repair my Geyser as early as possible to them. Even I spoke with Senior/Management staff also. When I contacted Call Center then I observed that their staff registered my complaint and forwarded to their Service Canter (Outsource Agency - Sarthak) but no one is interested to communicate with staff of Service Center and inform me approximate time to come of theirrepresentive/technician who will be coming to repair my Geyser at my residence. Most of Call Centre staff told me you take contact number of Service Centre and you talk with them we areunable to contact them as per company policy. I had also spokewith Senior Staff of Call Center about this bad experience and they also told me that we registered your complaint on urgent basis and forwarded to Service Center and their representive/technician will come to resolve the complaint before end of the day but unfortunately any staff of Call Center or Service Center not contacted me whether representive/technician will come or not on full dayand their representive/technician not come to repair my Geyser on Saturday and I wasted my whole day for this. Really this is a very bad experience from one of the best/reputed Indian Electrical Consumer Products Manufacturing Company. 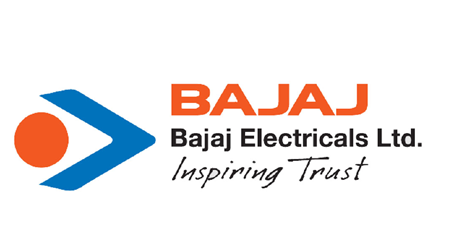 I think people should avoid to buy/purchase products of Bajaj Electricals Ltd. if Bajaj Electricals Ltd. comapny is not interested to provide better/improve service to their customers.